The authors are the international bestselling duo of hit TV shows Wallander, The Bridge and Marcella. 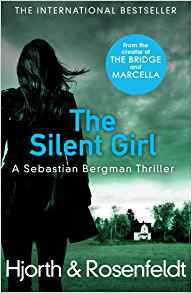 This is the fourth in their collaborative thriller series that features the Riksmord, the National Homicide Unit, and its enigmatic and flawed psychologist and criminal profiler, Sebastian Bergman. During the Easter holidays, in an idyllic Swedish setting, the Carlsten family is mowed down in their lovely home in the small town of Torsby. It’s a chilling execution — a gory shooting committed in cold blood in broad daylight by a brutal killer who has vanished without trace. Without apparent motive, without a witness and lacking a suspect, it looks like the perfect murder. Will the perpetrator ever be brought to justice? But during the investigation something else emerges. That someone was present during the brutal slaughter — a youngster who, in fear of her life, has fled the scene. The race is on to find her. But will she, can she, talk and tell what happened? Sebastian, whose own personal life is a perpetual vortex, must track her down before the murderer beats him to it and silences her forever. When stripped down, the plot is simple enough as we follow the many characters pitched into a gritty chase to expose the manipulative gunman. However, the fast pacing, cataclysmic tension building, intriguing twists and turns, blind alleys, unexpected developments, credible, compelling characters with dark secrets, sharp dialogue, pruned interior monologues and shifting sands of relationships punch the story along, and keep the reader gripped, to the very last page. 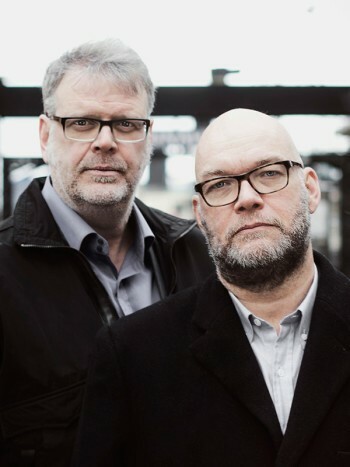 Michael Hjorth and Hans Rosenfeldt make up the celebrated Swedish crime writing duo known as Hjorth & Rosenfeldt, authors of the internationally bestselling series about Psychological Profiler Sebastian Bergman. Michael Hjorth born 1963, is one of Sweden’s most famous film and TV producers and a renowned screenwriter whose work includes the screenplays to several of Henning Mankell’s Wallander films. Hans Rosenfeldt born 1964, is Sweden’s leading screenwriter and the creator of the most successful Scandinavian TV-series ever: the award-winning crime series Bron (The Bridge), which is broadcast in more than 170 countries. Serena Fairfax spent her childhood in India, qualified as a lawyer in England and practised in London for many years. 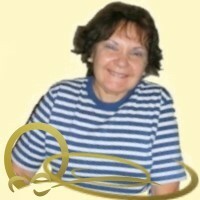 She began writing by contributing feature articles to legal periodicals then turned her hand to fiction. Having published nine novels all, bar one, hardwired with a romantic theme, she has also written short stories and accounts of her explorations off the beaten track that feature on her blog. A tenth, distinctly unromantic, novel is a work in progress. Thrillers, crime and mystery narratives, collecting old masks and singing are a few of her favourite things.